I got the pleasure to talk with one of our customers, Kwesi from Katallyze.io, who uses the Woodpecker Agency Panel. Kwesi answered all of my questions about cold emailing at their company, and I’m sure you can get a lot of useful advice from it. Let’s jump straight to the interview. Could you tell us what you do at Katallyze.io? 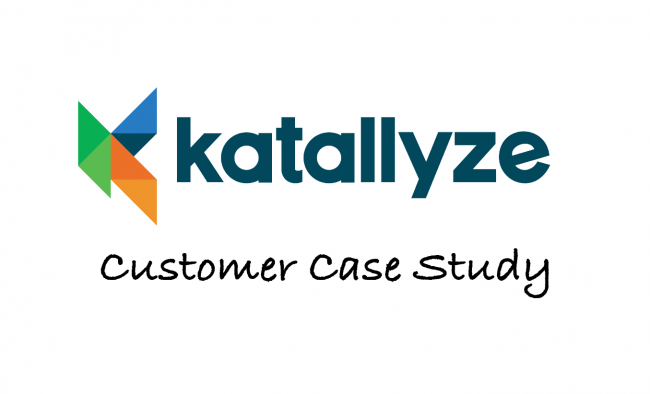 Katallyze.io is a New York-based leading lead generation agency that helps B2B companies find and connect with their dream clients, prospects, and partners. There are two ways you can work with us. One is by using our done-for-you services which includes sales email copywriting and outbound email campaign services. We do all the grunt work, you focus on doing what you love. The second way is to learn all our proven lead generation strategies and techniques for predictable sales and growth from our flagship Lead Generation Masterclass – so you can do it yourself. We’ve generated seven figures in sales opportunities, so you will find it super helpful. How did you start your agency? There are a lot of companies with a great mission which never gets realized because they are unable to get in front of the right prospects at the right time. Even when they do, it’s the high-quality prospect and they end up not making enough profits in their business. This is true for technology startups, service businesses, and entrepreneurs that need to get the message about their product or service to the people who will benefit from it. We started Katallyze.io to help solve this problem of obscurity (which kills dreams) and rips off revenue and sales. Our goal is to help companies on a mission the chance to connect with partners and customers to help them achieve their goals. Whether it is helping one of our non-profit customers to teach girls in developing countries how to read or build libraries so every child can have access to important knowledge that will impact their thinking. Whether it is helping one of our software customers to democratize quality music and represent under-represented music artists whose talent can soothe the hearts of our modern world. Whether it is helping one of our platform customers to enable farmers to tap into the environmental and economic benefits of renewable (solar) energy. Whichever project our team takes on, our quest is helping make a vision bigger than ourselves real. We want to drive value for other people we may never meet, but who constantly commit themselves to important work. What do you use Woodpecker for? We use Woodpecker for all kinds for prospecting new leads. We also use it to run the outbound cold email campaigns that we develop for our clients. We’re not completely sure where we found Woodpecker. It must have been through one of our research on LinkedIn. But anyways, we tried the platform and it was intuitive and simple and exactly what we needed to help our team and our clients. That was over a year ago. And we still use it today. Before Woodpecker, we have been using several other software for different projects. We don’t want to mention names. But in the end, we’ve stuck with Woodpecker for the ability to manage multiple clients from one dashboard. Because we only use Woodpecker at this point, we’ve connected to over 10,000 decision makers using the platform. Is outbound a significant source of new business for you? They get a few clients through word of mouth and referrals. Things look promising and they feel they’ve cracked the code. Then the harsh reality thunders and storms in it that they don’t know when the next referral will come in. They realize word-of-mouth and referrals are not dependable and consistent. The fear in them swells up and they start doing everything at the same time. From social media to blog posts. And then they wait for the orders to roll in. Yet they still don’t get the dream clients coming in and knocking on their doors. They are waiting and hoping something works. Guess what? Hope is not a strategy! So we help them avoid the stress, anxiety, desperation, fear, and costs of not getting consistent quality leads. I can think of those categories right now. those who plan to hire sales or business development reps, and want to validate your market with proven techniques – so you can know for sure if you’re getting the real deal (and avoid getting ripped off!). We help people with whom those points resonate the most. How do you get a prospect base? When it comes to prospecting, we use different methods for techniques for building high-quality lists of prospects and validating the data. We’ve been very open with these techniques in our Lead Generation Masterclass – and I’d encourage everyone to check it out. Ultimately we use a combination of different tools that help us avoid manual data entry, enable us to pre-qualify the list, and validate the data. How many prospects do you usually have in a single email campaign? Our campaigns have varied from a few (20 contacts) to a lot (over a thousand). The key for us is not just the number – but the quality of data and the ability to test in small batches. A lot of people come to us because their campaigns have failed miserably in the past. When we begin to dig into their process, we realize they were just spraying and praying. Not only were their email getting caught up in spam filters, but the quality of writing added no value. So for us, we build our campaigns to build trust with the prospect and establish credibility. There’s a thin line between being annoying and persistent. And we believe that we’ve found it 🙂 We actually share our learnings in our course. Fortunes are in the follow-ups! The exact number of follow-ups we use depend on the goals of the campaign, the decision maker we’re going after and the complementary channels we might be using. Absolutely! We use three levels of personalization for different kinds of projects. High, medium and low. It’s important to test for your own industry, because personalization alone may not get you the conversions that you need. What’s your best open/reply/positive reply rate? Okay, so we have a pet peeve with open rates: it’s a metric we really don’t track that often. Because it’s a vanity metric. Open rates are not a believable metric of prospecting success and we have tests to show this. But we track replies of course and our best replies for campaigns have been over 75%. From that campaign, we booked over 30 meetings in less than 30 days. What do you like the most about Woodpecker? It’s intuitive and the ability to manage multiple clients on the agency platform sets Woodpecker apart from the competition. That’s all from Kwesi. If you like to know more, visit Katallyze’s blog, go to their YouTube channel when they post a lot of video tutorials on cold emailing or follow them on Twitter. I highly encourage you to enroll in their Lead Generation Masterclass. I’m finishing watching it and it’s really valuable. Kwesi talks from experience. Next postHow to Analyze Campaigns Beyond Open Rates?